We build catering trailers and van conversions bespoke to customers unique specifications. Specialists for mobile catering solutions and Street Food Conversions and Catering Trailers. Towability, has an extensive choice of mobile catering trailers, kiosks, hospitality, exhibition units and catering equipment on offer, both new and used.We manufacture catering trailers for food or beverages that are tailored to your own individual requirements. Coffee Vans | Wood Fired Pizza Vans | Alternatively you can provide your own vehicle for conversion..
With thousands of combinations each catering trailer is uniquely customised to your very own requirements. Home of Dinky Donuts. For those who want to start their own turn key business, our complete Dinky Donut packages are the ideal way to get started. We specialise in Coffee Van conversions. With one off coffee vans for individuals to touch screen mobile coffee van conversions for Costa Coffee. Towability offers the largest selection of mobile catering trailers, different models, different construction. With endless options tailored to suit your needs each trailer is uniquely customised and individual. From discussing the concept through to the sign writing Towability will guide you through the process. Please contact us and let us turn your ideas into reality. This is quite simply a remarkable van. Manufactured by Aixam it is then converted by us to meet your needs. The MEGA really creates a scene and has been turning heads and surprising crowds ever since our first Mega van conversion in 2004. The complete mobility and compactness of the Mega vehicle enables access to locations not accessible by conventional vehicles. 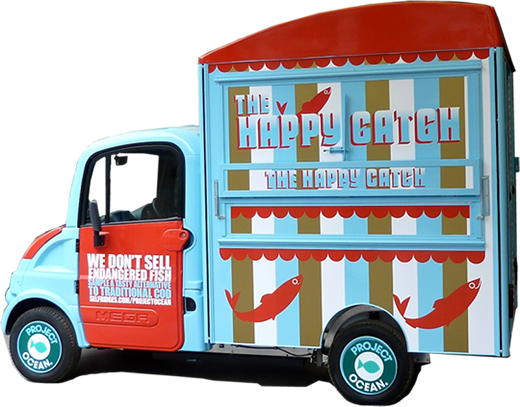 Combine this with the quirky attention grabbing features of the Mega vehicle and you have the ideal delivery, mobile catering, refreshment unit that will promote your business wherever you go. There is no escaping the popularity of “Street food” at the moment with a real buzz of gourmet food in towns and cities across the country. Featured in most of the TV and media publicity is the H Van and VW Camper Van which have now become the “face” of chic motorised street food. Along with these vehicles with have seen a huge demand for Piaggio Ape’s, Mega Vans, and many small motorised van conversion like Toyota Dyna, Citroen Relays and Peugeot Cab’s branded in a unique style. Where would McDonalds be if they had gone for the cheapest locations and the most basic equipment? When you choose Towability you are in good company: – Costa Coffee, Coca Cola Schweppes, Walls, Lyons Maid, National Trust, Lindley Group, Centerplate, Mitie, Selfridges, Rank, Welcome Break, Compass, Butlins, Haven Warner, U.S. Air Force, Burger King and the Metropolitan Police are just a few of the large organisations that have dealt with us. 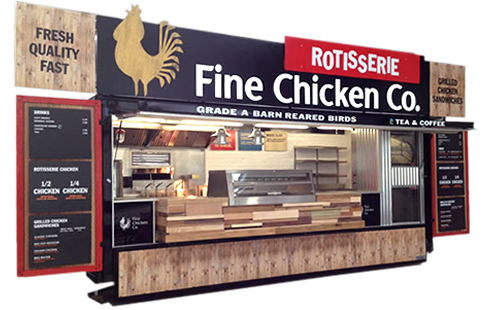 We strongly recommend that if you have the opportunity to visit our display site we have the largest selection of complete catering trailers and equipment. In the meantime if you have any questions please do not hesitate to contact us. Towability has received accreditation in accordance with the requirements of BSEN 1S0 9001. This confirms our commitment to implementing procedures that ensure we maintain our level of quality control.